"Take A Punch" at Hitler for 1 Cent - Buy US Defense Bonds Card. 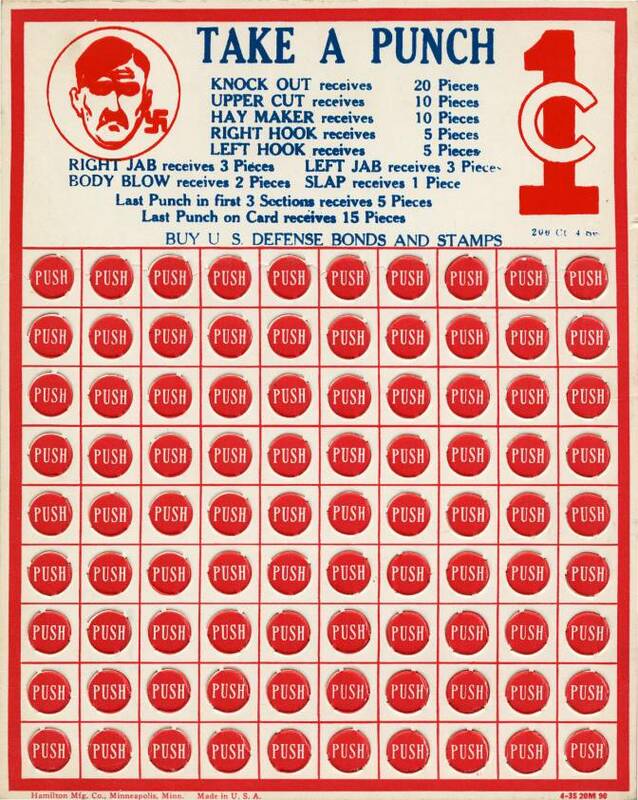 This is some type of punch card game used to help drive the sales of U.S. Savings Bonds during WWII. 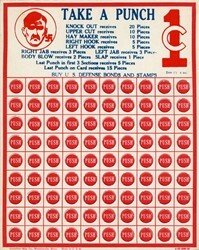 Printed by Hamiliton manufacturing Company in Minnesota. Mint condition.